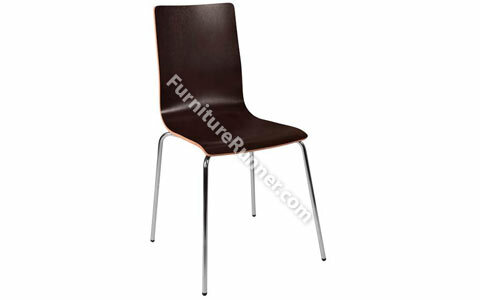 Stylish Bistro chair with wenge coloured seat and back. Exposed ply accent and chrome frame. Suitable for commercial use.